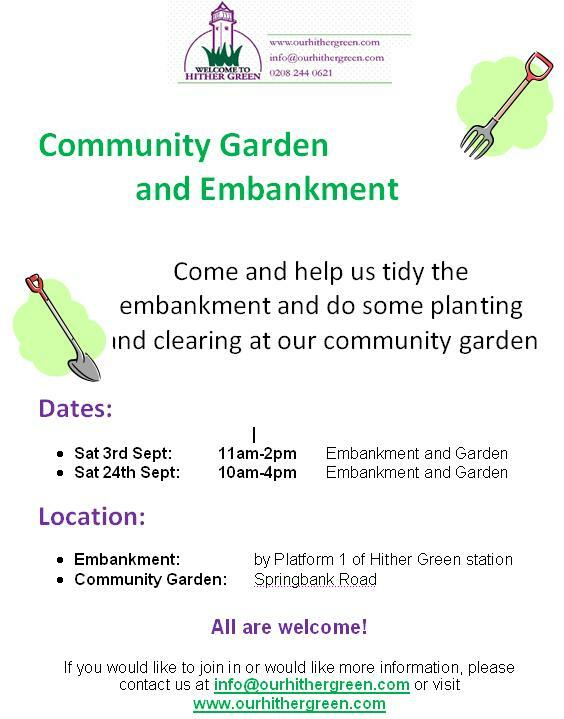 Volunteers are needed at the Hither Green Embankment on 3rd and 24th September. If you would like to get involved, please contact the Hither Green Community Association or visit their website. Tools, boots and refreshments provided. (For the Embankment, over 18 years only). They’ll be clearing away the overgrown vegetation, monitoring the bio-diversity, clearing litter and making the place look fab!